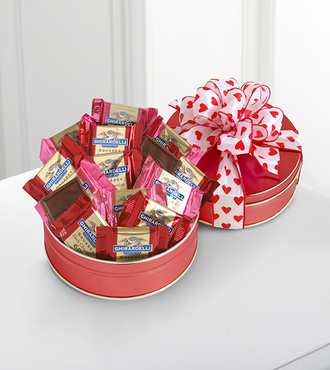 Send your love in a keepsake tin filled with chocolate treats. Sample San Francisco's famous Ghirardelli chocolates in sweet flavors of dark chocolate and raspberry squares adorned with a beautiful bow. Say "Happy Valentine's Day" in a very delicious way!